One of our former students, Jaye Graham has recently launched her app called Pawfect Match for dogs and cats in need. Her dating-style app aims to match homeless pets to adoptive families. Seeing the pressure that rescue centres are under and the time it takes to adopt a pet, Jaye decided to create an app, which would be a fun way to quickly match pets to owners. She’s hoping that the app will revolutionize pet adoption throughout the United Kingdom. The process is simple: Rescue centres upload pictures of pets and users can search for pets based on their characteristics and household needs. 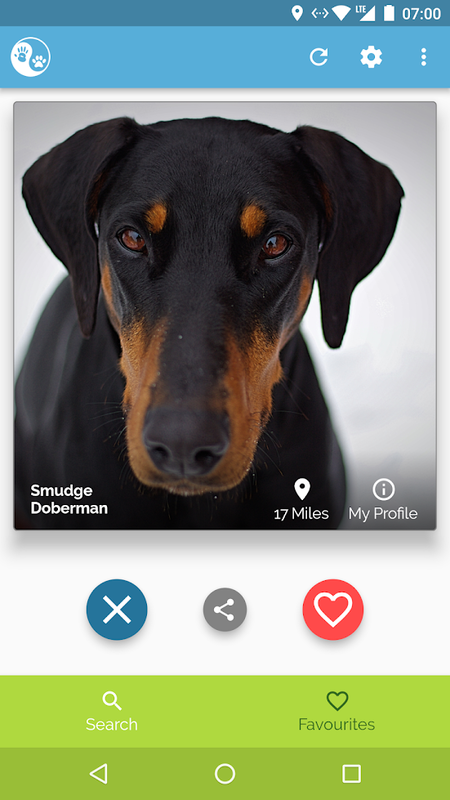 Users swipe left to pass on to the next pet and swipe right to add a pet to their favourites. Once a user has found a match, they can simply message the rescue centre through the app. Pawfect Match is now available for download on Google Play or on the App Store. This entry was posted in Current Students, Employability, General on August 23, 2018 by cm894.